"An audacious and revisionary sequel to Twain’s masterpiece. It is both true to the spirit of Twain and quintessentially Cooveresque." —Times Literary SupplementAt the end of Huckleberry Finn, on the eve of the Civil War, Huck and Tom Sawyer decide to escape “sivilization” and “light out for the Territory.” In Robert Coover’s vision of their Western adventures, Tom decides he’d rather own civilization than escape it, leaving Huck “dreadful lonely” in a country of bandits, war parties, and gold. 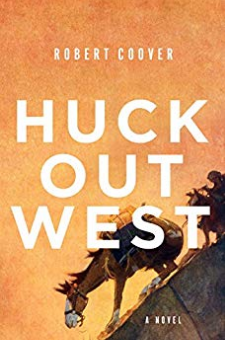 In the course of his ventures, Huck reunites with old friends, facing hard truths and even harder choices.